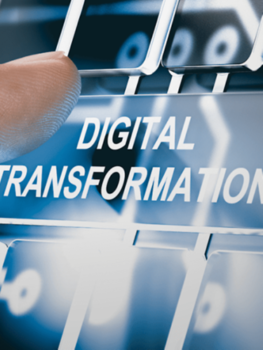 Digital technologies, data mining and analytics tools are dominating the modern economy, transforming nearly every aspect of how we operate.Businesses are beginning to realize the power of data and how it can be used to improve the customer experience, grow market share and improve operational performance — all culminating in what’s commonly being referred to as the digital transformation. This transformation has the potential to bring significant benefits to several areas of the industry, including food safety, energy conservation and refrigerant management, to name a few. Today, retailers have access to more data than ever before, allowing for new opportunities to innovate and implement more comprehensive management in the cold chain. Rather than narrowing focus onto one section of the business, operators can now think across entire enterprises and supply chains for broader insights and deeper intelligence into how their stores are operating and learn where they can improve and innovate. One factor that makes this transformation so interesting is the amount of commitment industry leaders are putting into developing deeper, stronger relationships with their customers, rather than using the newfound data to exploit sales opportunities. Customers have rewarded this dedication and innovation with increasing loyalty — which translates into better sales. A recent example of the potential data has to help solve problems in the cold chain was the concern surrounding an outbreak of foodborne illness from romaine lettuce purchased at grocery outlets. After customers got sick and the story hit the 24/7 news cycle, many demanded to know where the contamination had occurred. In this case, technology and data were essential in tracking the instance of contamination to a specific farm. But this example is just the tip of the iceberg. A similar, data-driven approach can allow retail stores to reduce their energy costs during peak demand periods. By connecting building management systems (BMS) to the local energy provider, companies can limit or avoid “peak time surcharges” that are assessed when the greatest amounts of energy are required. The BMS receives notices from the utility when demand reduction opportunities arise and, through a demand response program, retailers can automatically shut down non-essential equipment and optimize energy use. The amplitude of data available from this digital transformation is ushering in an intriguing period in cold chain history. At Emerson, we see this happening not in grandiose, intangible, all-consuming approaches, but in the expansion of existing, proven technologies coupled with the use of emerging digital assets to create new insights. As the iterative development of connected, adjacent systems accelerates and becomes more powerful, there will be opportunities to revolutionize how companies operate. We at Emerson are here to help you make this critical cold chain transition a reality for your business.